Enjoy your favorite music outdoors—anywhere! When you want to enjoy great times outdoors, the Tailgater Plus comes through big time. 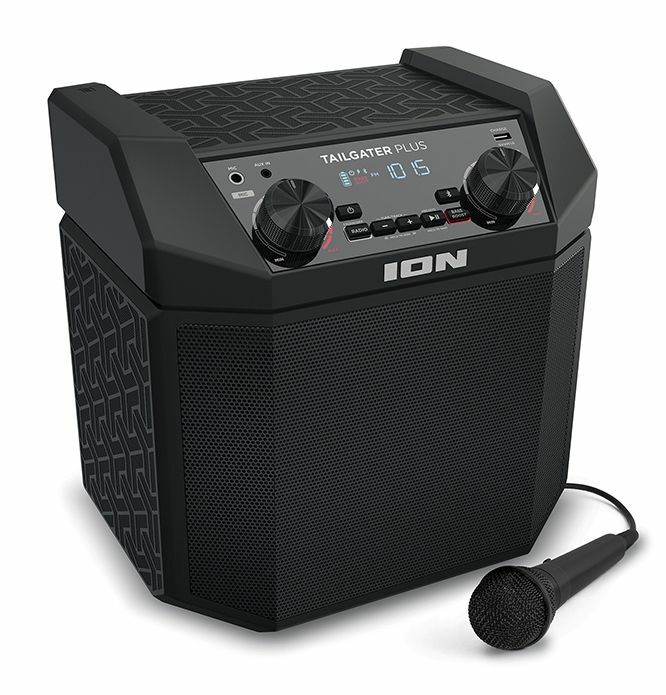 This rugged, rechargeable speaker streams your favorite music from any Bluetooth device and pumps out great sound through its rugged 2-way speaker system powered by a 50-watt dynamic power amplifier. The special Bass Boost button really kicks up the low end, for that extra measure of musical excitement. It has a built-in AM/FM radio so you’ll all enjoy catching the game or that great oldies station, and afterwards, use the high-quality microphone to create your own memorable events. With a USB charge port to recharge your devices, a 1/8-inch (3.5mm) aux input for non-Bluetooth devices and a convenient one-handed carry handle, the Tailgater Plus is as easy to use as it is exciting to hear!